Colombia is the world's third largest coffee producer and the number one producer of Arabica beans. The finest Colombian coffee is grown at small holdings and cooperatives located in the Andean regions of Antioquia, Tolima, and Huila, where berries are hand picked only when they are perfectly ripe. Colombia has two main harvests, which means there's a supply of fresh coffee beans available all year round. 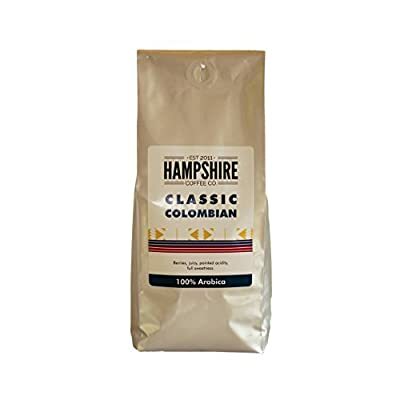 Our Classic Colombian beans are roasted in the UK in small batches to guarantee freshness and flavour. A medium roast enhances their sweet flavour and pointed acidity with hints of berries, resulting in a smooth and balanced cup that is perfect any time of the day. Colombian coffee beans are grown at high altitude (1,200 to 2,000m), which ensures their rich and fruity flavour, moderate acidity levels, and slightly nutty aftertaste. 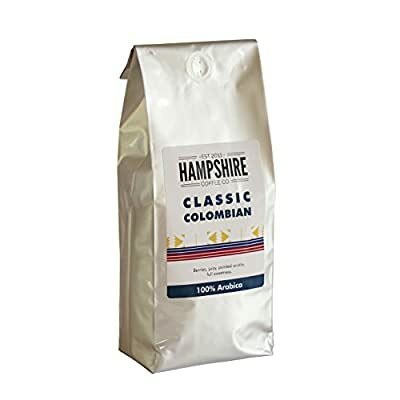 Colombian beans make excellent coffee regardless of which coffee maker you use: drip, filter, pour over, French press, Moka pot, espresso machines, or cold brew. Let's experience great coffee together!!
? MEDIUM ROAST - Slow roasted to a medium profile allowing for flavours to develop and showcase the Colombians beautiful fruity flavors. ? CUP & SENSORY - Berries, Juicy, Pointed acidity, Full sweetness ? 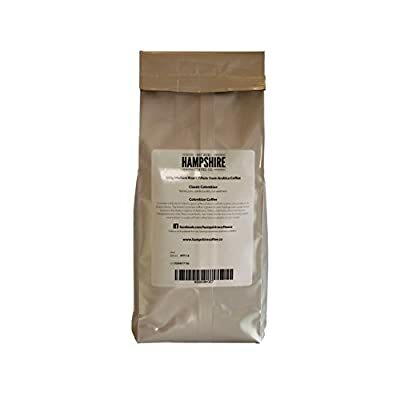 SUITABLE FOR ALL COFFEE MAKERS - Aeropress, V60, Cafetiere, Bean to Cup, Stove top espresso and Cold Brew ? ALL DAY DRINKER - Due to its medium roast this is a cup that you will enjoyed throughout the day and by all member of the family. ? ROASTED IN THE UK - Roasted in small batches for consistent flavour, freshness and quality. Exclusively available on Amazon UK.